Newly elected Rep. Alexandria Ocasio-Cortez (D-N.Y.) called for a stunningly high tax rate for those with deeper pockets in a CBS 60 Minutes interview scheduled to air on Jan. 6. She was sworn into the House of Representatives on Jan. 3. To fund the deal, Ocasio-Cortez, 29, a member of the Democratic Socialists of America, suggested higher tax rates for higher income brackets, reaching as high as 70 percent on the top earnings of the mega-rich, an idea that Cooper called “radical.” The new congresswoman claimed people should pay their “fair share” in the promotional segment posted on Jan. 4. “You know, you look at our tax rates back in the ’60s and when you have a progressive tax rate system, your tax rate, you know, let’s say, from zero to $75,000 maybe 10 percent or 15 percent, et cetera,” she said in the interview. 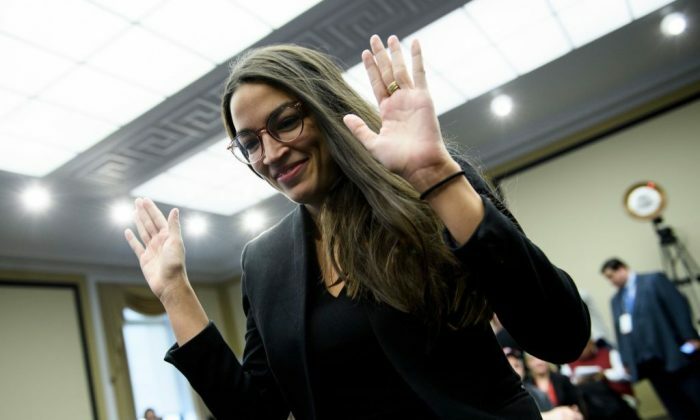 In response, Ocasio-Cortez said that both Abraham Lincoln and Franklin Delano Roosevelt were radicals for changing the nation. “If that’s what radical means, call me a radical,” Ocasio-Cortez said, when Anderson asked if she was a radical. As a member of the Democrat Socialists, Ocasio-Cortez believes in universal health care, free college tuition, and the abolishment of ICE. Meanwhile, President Donald Trump and the GOP have advocated for the slashing of taxes, arguing that it would boost the economy and give money back to Americans. Democrats have opposed this and call for higher taxes to fund a number of welfare programs.